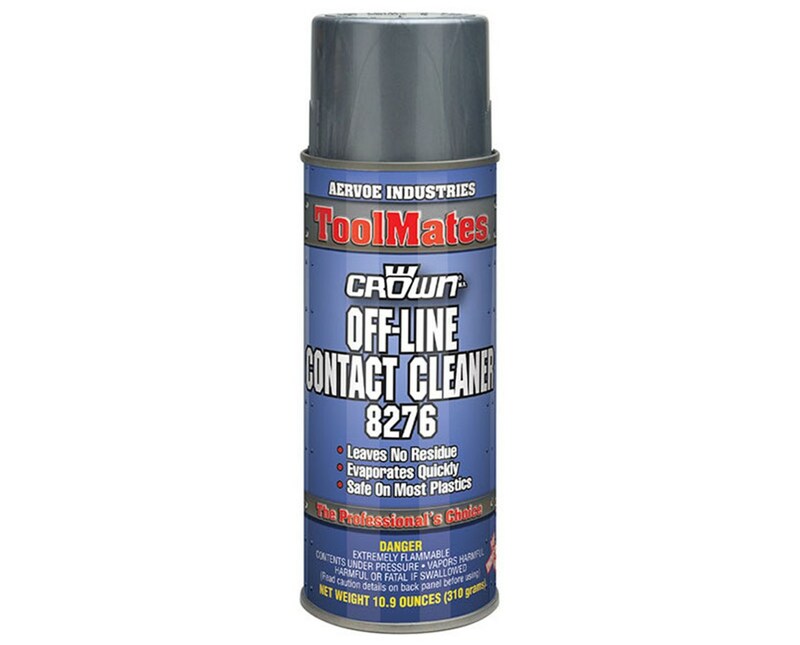 The Aervoe Off-Line Contact Aerosol Cleaner (12-Pack) is an industrial-quality cleaner specifically formulated for cleaning and maintaining electronic components. It provides flushing action to easily remove contaminants without leaving any residue or film. Ideal for use in manufacturing facilities, it is fast evaporating. 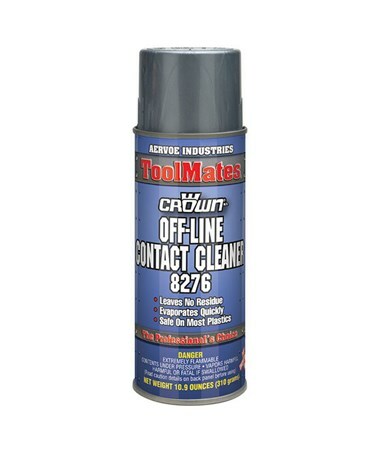 This Aervoe contact cleaner features a low odor formulation that is safe on most plastics and metals. It does not contain CFCs or chlorinated solvents. It can be applied on relays, switches, circuit breakers, contacts, electromechanical assemblies, generators, and many others. Keep in mind that it should not be used on energized equipment. The Aervoe Off-Line Contact Aerosol Cleaner (12-Pack) comes in 16-ounce spray can and contains 10.9 ounces of clear, non-foaming liquid. It is sold by case of 12 and is covered by a one-year manufacturer’s warranty. Warnings PROP 65 (CA): WARNING: Reproductive Harm – www.P65Warnings.ca.gov.